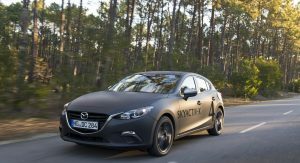 Mazda is gearing up to launch its SkyActiv-X engine next year and the company says its spark controlled compression ignition technology could make it more eco-friendly than electric vehicles. While electric vehicles don’t produce any emissions, they run on electricity which is often generated by fossil fuels. 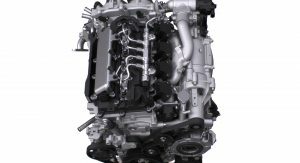 As a result, Mazda says “electric powertrains do not currently satisfy … society’s wish for a drastic reduction in greenhouse gas emissions.” Because of this, the company is focusing on improving the efficiency of internal combustion engines. Despite sounding like an excuse for being late to the EV game, Mazda says two thirds of global electricity production currently relies on fossil fuels. The company also said its “disingenuous” to say electric vehicles have zero emissions as it doesn’t account for the pollutants which are created while generating electricity for the vehicle. Mazda believes a more realistic measurement would be the Well-to-Wheel method which takes into consideration “fuel extraction, manufacturing and shipping.” This is significantly more involved than the current Tank-to-Wheel method which only factors in the emissions that are produced when a vehicle is being driven. According to Mazda’s calculations, a mid-sized electric car requires 20 kWh of electricity per 100 km (62 miles) and the coal required to produce that much electricity would mean the car has emissions of 200 g/km. The company says this is significantly worse than vehicles powered by gasoline (156 g/km) or liquefied petroleum gas (100 g/km). Mazda goes on to say using Well-to-Wheel calculations show electric vehicles have an average emissions rating of 128 g/km – depending on how the electricity is generated. SkyActiv-G models with “comparable power” would have emissions of 142 g/km but the company notes the engine has less CO2 emissions than EVs if their electricity is generated by coal or petroleum. 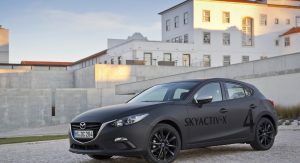 Electric vehicles powered by electricity created from liquefied petroleum gas are significantly cleaner but Mazda believes its upcoming SkyActiv-X engine will be able to match their Well-to-Wheel emissions. While Mazda has high hopes for the SkyActiv-X engine, it isn’t avoiding electrification altogether. 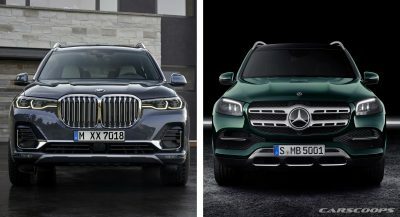 The company plans to introduce an electric vehicle and mild hybrid technology in 2019. Six years later, in 2025, the company will offer a plug-in hybrid. Good for Mazda. Though we’re still a ways away from the ideal engine. 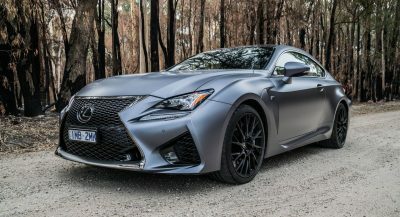 Technologies like free valve, variable compression, variable displacement, compression ignition, synergistic induction and turbocharging, and many more will eventually come together to create the most amazing last internal combustion engine. Or maybe battery technology will technology will improve faster than expected and we’ll just switch to that. 2. The energy mix is getting cleaner all over the world. Each year an EV is less polluting due to this. What’s more, you have control over this – you can pull at stations that use renewable energy only, or you can install your own at home. Stop with this ICE can be clean lie. I think they were more focused on the pollution from the EV’s battery production. Sure they are green themselves but the battery is a different story that is not widely discussed. It should be discussed of course as we need complete transparency to trust a new technology. However ever since the Hummer is greener than Prius article by Daily Mail, the media has been sponsored to come up with similar (non-scientific) articles to undermine the EV development. Watch the documentary called “Who Killed the Electric Car?” to understand how much power the oil industry has. Head in sand blind Faith will not serve you well here on Earth. 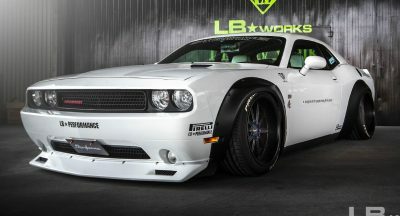 Well, to be fair, at least Mazda has not jumped on the bandwagon of other manufacturers (cough cough FCA-specifically Dodge, Ford, and GM) where they just produce these enormous monstrosities being powered by overpowered engines (like in a Hellcat). I mean the worst fuel economic vehicle Mazda has still gets 28 mpg on the highway. The same cannot be said for other manufacturers. So, I think you should be applauding that at least in Mazda’s case they are trying to improve the internal combustion engine instead of just simply offsetting their worst economic vehicles by having a few hybrids. 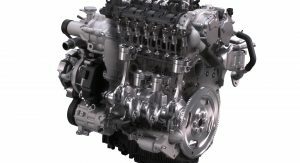 You should want the internal combustion engine to improve by any means necessary because it means we will have cleaner hybrid vehicles and it’ll also mean those manufacturers that still hold on to producing massive engines might adopt some cleaner tech. This applies to most Japanese brands as they have very different regulations there as in the USA. That doesn’t really matter though. Look at Subaru, they made the Ascent a U.S. only model because they knew the market here loves large crossovers. So, a manufacturers home country regulations don’t necessarily determine the products made for the rest of the world. ALWAYS ROOM FOR IMPROVEMENT WITH ICE’S BUT TO USE FOSSIL FUEL GENERATED ELECTRICITY AS AN EXCUSE? NOTHINGS FREE, BETTER TO HAVE THE POLLUTION GENERATED IN A REGULATED SITUATION THAN EVERYONE WITH A CAR WHO GETS INSPECTED ONLY ONCE A YEAR, IF THAT. How long is the average car on the road for these days? 20 years? 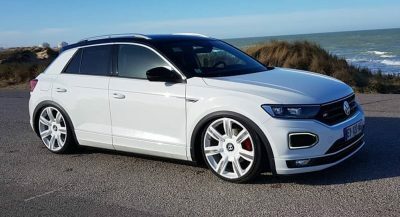 So think about it like this, to upgrade our air quality, it takes 20 years for the average car on the road to be at least as clean as the current standards of ICE now. With electric production, the centralized power facilities can be upgraded to cleaner processes or switch to green energy and flip that switch almost overnight by comparison. While I commend Mazda on being the most efficient of all automakers, I don’t really buy the whole “Our gas cars are cleaner than their electricity” claim. For one, these types of “calculations” seldom take into account the amount of energy to drill for oil, pump it out of the ground, refine it, blend it with additives, and ship it around the world on tankers and in trucks that themselves are all burning more fossil fuels along the way. That part conveniently gets left off the record, and I always assume big fuel is behind the “study” when that is the case. Crude oil will be pumped regardless of whether every single vehicle in the world ran on electricity or not. Crude oil is used for many more products than just the gas that goes into your vehicle. Polyester shirts, lubricants, and even the roads you drive on are all made from crude oil. So it will be pumped out of the ground irregardless of electric vehicles. It’s about the quantity. One of the biggest products of the oil industry is plastic. If plastic used no oil then the crude oil production would drop to record low levels. It’s just a matter of money, and seeing our seas and oceans filled with waste one should question is it worth to save 2 cents per bag? Or is it worth to produce plastic that’s biodegradable but it won’t be so cheap. That is not entirely true. Crude oil production continues to increase but speed of that increase has slowed down. Petrol engine that is as efficent as Diesel. Mazda need mkre recognition for this. Very well done Mazda. I hope other manufacturers follow. Hello Mazda, get rid of the ugly pop up nav screen on your dashes and ill buy two cars.